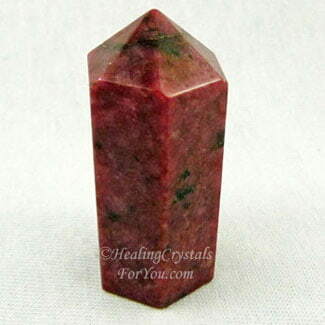 Rhodonite is known for its capacity to bring emotional healing and to release blocked energy from within the heart chakra. 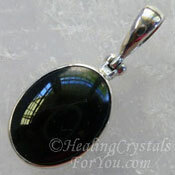 It has a strong heart based energy with a useful healing vibration. It helps to bring peace to troubled relationships and by its action to stimulate acceptance, forgiveness and unconditional love towards others, it is helpful to assist relationship problems. 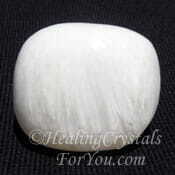 These stones are excellent for balancing the emotions, and during traumatic times this stone can be used to calm you. Having a piece on your body, may help to stop you from taking action when you are feeling angry, fearful and panicky when traumatic events are unfolding in your life. 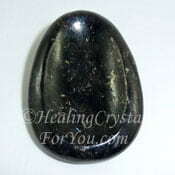 The energy of this stone also helps you to discover innate talents that you may not have been aware of, and work out the best way to utilize them. 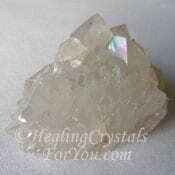 They are advantageous healing crystals for you to use in meditation to help you to discover where your destiny lies. The name Rhodonite comes from the Greek word meaning 'a rose', which relates to its rose pink color. 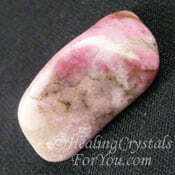 These stones come in a range of colors from pale pink though to a deep rose pink almost red. Although the lighter pink stones are becoming more popular you will see many stones that are a deeper pink or magenta stones with inclusions of black manganese oxide in them. 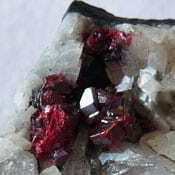 Certain pieces of this crystal are known to be brownish red or almost entirely black, depending on the amount of manganese present. 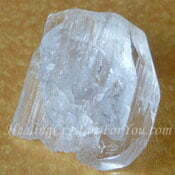 Although it may be found as tabular crystals, these are quite rare. Some of the colors may relate to weathering of the stone and partial oxidization. It is more commonly found in a massive growth form, with very large pieces common. This stone is found in a large number of locations, including Germany, Sweden, Russia, Spain, Brazil, Mexico, Madagascar, South Africa, India, Australia, Canada and the USA. 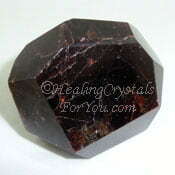 There is also a variety of stone called Gemmy Rhodonite, that has slightly different mineral make-up. 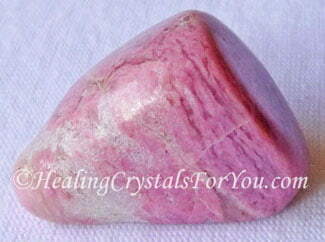 These pink crystals are powerful to balance your emotions. 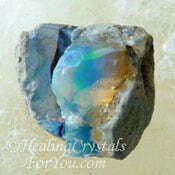 Their energy will intensify acceptance, forgiveness and unconditional love towards others. 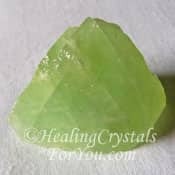 During stressful times, when you are fearful or panicky, this crystal can be used to calm you, and will assist you to release the fear that you are holding onto. 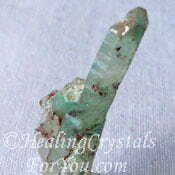 This crystal embodies an active heart based vibration, and this is a helpful energy to use to aid the healing of relationship problems. 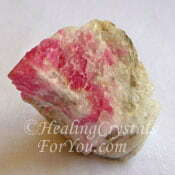 Shop for pieces of Rhodonite at Exquisite Crystals, my most reliable crystal seller. 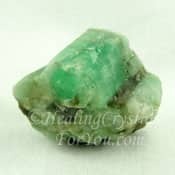 This crystal is helpful within the emotional body, for healing shock and soothing tension and stress, and it also has many other good healing attributes within the physical body. 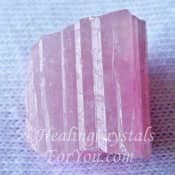 Keep a piece of this beautiful pink stone on your body if you are stressed, as using the energy of this stone is one of the ways to relieve stress. 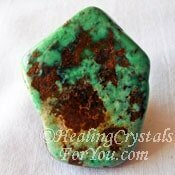 Its energy within both the heart chakra, and higher heart or thymus chakra will bring emotional healing, and will help to release blocked energy that may be causing health issues. 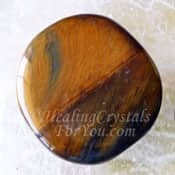 This stone is helpful to aid healing of the endocrine system, which is made up of a number of glands that produce hormones that are responsible for your body working properly. 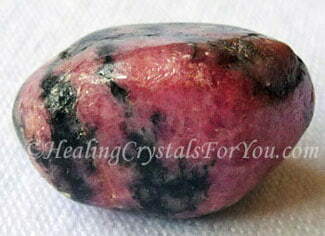 Why Would You Use Rhodonite? 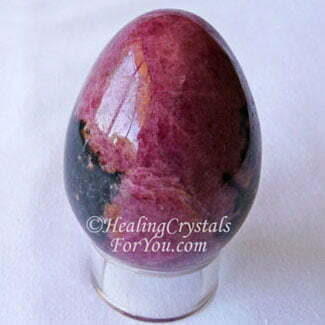 Rhodonite crystals are excellent to aid self esteem and self confidence, and are powerful to help you when your life is traumatic. They may aid you to discover if the problem in your relationship is connected to how you have been acting, or whether its related to the other persons actions. 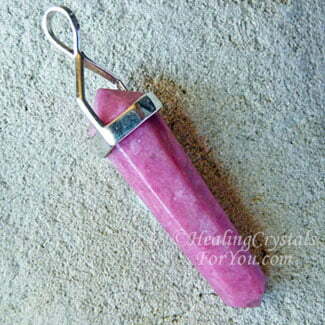 Like most pink crystals this stone carries the vibration of love within it, as well as a strong energy of altruism and generosity. It helps you to discover what your talents are, and how they can be used to assist others. They resonate within the heart chakra and the thymus chakra or higher heart, and this is beneficial in many different ways to help your life. 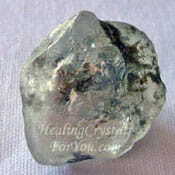 This stone can be used as a remedy, or first aid stone, during times of severe panic. It may help if you are going through issues in your life, where you find it hard to cope. 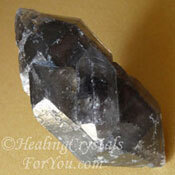 If you are aware that you often give into anger and fear, keep one of these stones close to you, within your aura. This may help you to feel calmer and less panicky, and may help you to solve conflict in a positive and practical way. 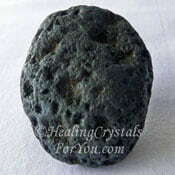 This stone helps you to feel more stable, especially if you are going through relationship problems where your emotions are beginning to feel resentful, confused and bitter at the turn life has taken. 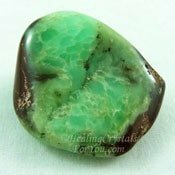 Even when you may not really want to forgive someone else, you may find that this stone helps you to feel less bitter. 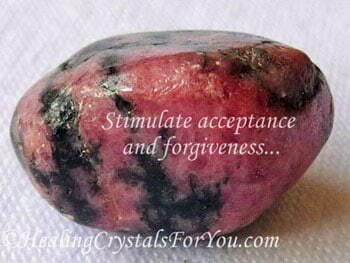 Its energy helps you to move towards an emotional space where you may find that forgiveness is possible. By bringing life force energy into the physical body, this will aid all of these areas to function better. Keeping a piece on your body is very effective to aid your healing, as it works in so many different ways. These stones will help the immune system to function better, by stimulating and strengthening the glandular system. 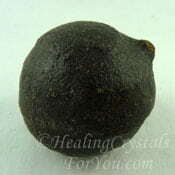 They are said to be a good treatment to use for aiding arthritis sufferers, and to help inflammation within the joints. It may also aid inflammation related to broken bones. They will aid the liver to carry out detoxification, assist ulcers to heal, as well as aiding the healing of health issues such as kidney or gallstones. These issues can be assisted by having this stone on your body. The darker pink stones, and especially those with black inclusions in them, have a strong resonance at the base or root chakra. These stones may help with healing of hormone related issues. They are also helpful to assist the healing of throat infections and lung problems including emphysema. Lastly but very importantly they are helpful to aid the healing of skin problems. 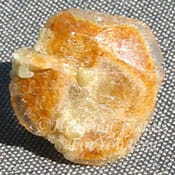 A tincture of this stone is known to help the itching caused by insect bites, as well as aiding scars to heal. 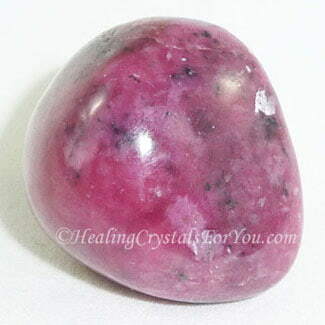 The action of the variety known as Gemmy Rhodonite may help with the healing of health issues within the kidneys and adrenal glands, and is known to assist with treating Lupus. 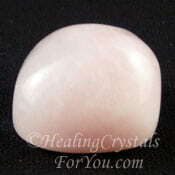 Crystal jewelry is commonly made from this pink stone, and it is very attractive. 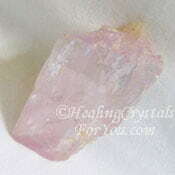 This crystal comes in a number of different shades of pink. 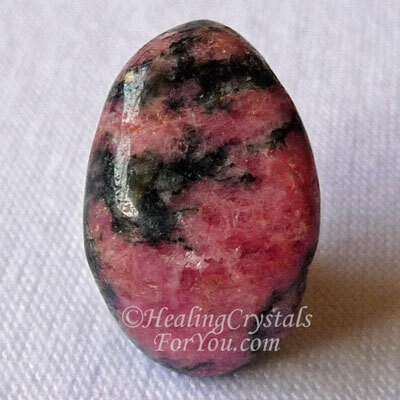 Pink Rhodonite is on the zodiac birthstones list and as this stone has such a lot of excellent healing qualities, it is highly beneficial to keep a piece on your body. 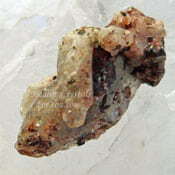 This includes light pink crystals like the piece shown here, through to lovely deep brownish red stones and even some pink stones with black inclusions. It is helpful to keep a piece on your body if you are experiencing relationship problems. 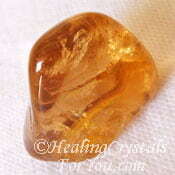 It is a Taurus birthstone. What better way to keep its energy close to you, than to wear it on your body. 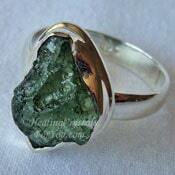 This means you should be able to get some lovely birthstone jewelry made from this stone. It is especially useful to wear this lovely pink crystal every day, as it can help you to remain calm when you may be likely to experience panic, anger or fear. Rhodonite is easy to buy, and it is a dependable stone to stimulate feelings of kindness and concern for others as well as generosity. It is common for it to help users to work out the reason why you are here on earth at this time. 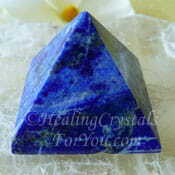 Its vibration encourages selflessness, and stimulates a desire to assist others. It assists you to understand your dreams, and aids you to appreciate ways that you can use your individual talents and abilities in service to others. 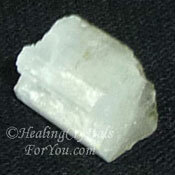 It also has an energy that draws you to do actions that are beneficial in aiding the healing of the earth. 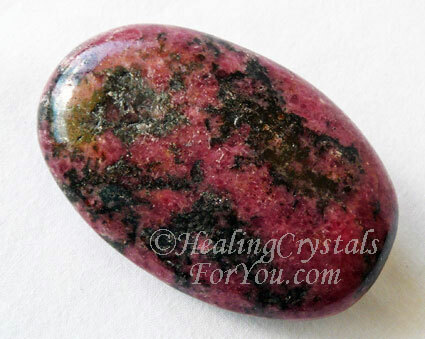 Rhodonite jewelry is so easy to buy, so for anyone who would like to boost this energy in your life, use this by either wearing it as jewelry or putting piece in your pocket. Just as long as its energy is within your auric field for a period of time each day. You might even like to put one under your pillow, as this vibration is known to help you to better understand your dreams. There are a few different ways that you can use this stone to help you. 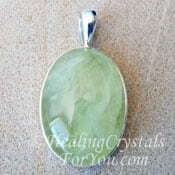 It is an excellent stone to use in meditation, if you wish to boost your self esteem and confidence in yourself. 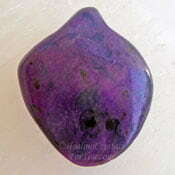 Wear this stone as close as possible to the chakras it most effects. These chakras are the heart, thymus, solar plexus and base chakras. The solar plexus is located in the middle of the stomach, and is also known as the power chakra. 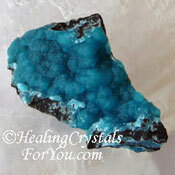 Use crystals that aid this chakra to ensure you have a healthy self esteem. 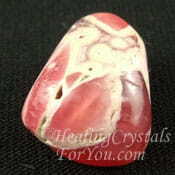 Rhodonite is a stone that will helps you to discover where you talents lie. By utilizing what you discover while in meditation, you may be able to find out your true life direction, and your life purpose. 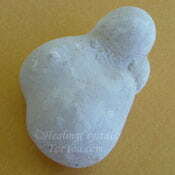 This stones vibration will help you to work out what you could be happiest doing. 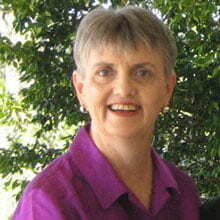 You may discover how you can not only use your gifts to help yourself, but also to be of benefit for others. 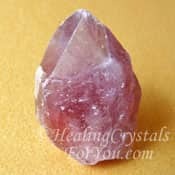 You may choose to use a piece of this pink stone on its own, or you may like to combine it with other stones during meditation, and you can read about these combinations in the next section of this article. "Forgive all who have offended you, not for them but for yourself." Harriet Nelson. 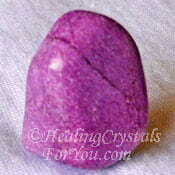 It is beneficial to combine this stone with other pink heart chakra as well as thymus or higher heart chakra stones. 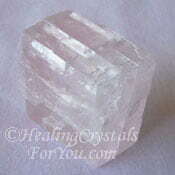 It may be helpful to grid yourself with them, while doing your daily crystal meditation. 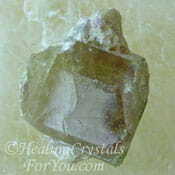 There is an excellent combination of stones that are recommended by the well known author Judy Hall, in one of her crystal books, 101 Power Crystals. The stones that Judy recommends are so good together that I wanted to pass on her information and how she suggests that they could be used. You use these stones by placing them on yourself at the appropriate places (known as gridding yourself). 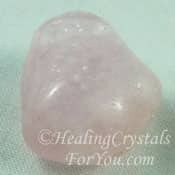 Lie down and place Rose Quartz Crystal at your heart chakra and a piece of Tugtupite at the heart seed, (located between the heart chakra and solar plexus chakra). 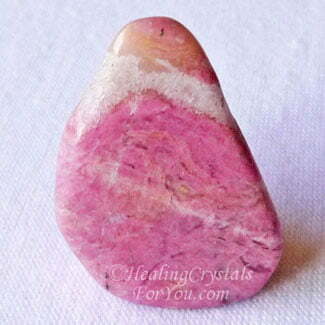 Place a piece of Pink Rhodochrosite on your thymus chakra, and place a piece of Rhodonite at the solar plexus chakra. Allow yourself to enter a state of relaxed inner awareness, and simply allow any negativity that comes up to be released. This will open your higher heart to unconditional love as well helping you to let go of anything you have been holding onto that is not helping you. 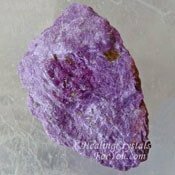 If you need help with forgiveness, combine this stone with other thymus or higher heart chakra stones that have a strong energy to aid forgiveness. 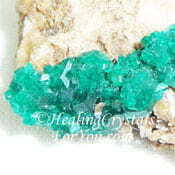 Specific stones that have a good energy to aid this area are Dioptase, Green Calcite, Ajoite, Rhodochrosite, Vivianite, Blue Hemimorphite, Stichtite, Lepidocrocite, Variscite and Green Chrysoprase. To accentuate its loving vibration, you may choose to combine Rhodonite crystals with other heart chakra stones, including with both the pink heart based crystals, and the green stones. Specific heart chakra stones such as Morganite, Pink Thulite, Pink Rhodochrosite, Pink Calcite, Kunzite also known as Pink Emerald, Pink Tourmaline, Green Emerald Crystals and Rose Quartz work well combined with this stone. If you are having difficulty with letting go of fear, it may be beneficial to utilize more than one stone that will assist you to release fear. Other stones that may help you with this includes Witches Finger Quartz, Black Jade, Stichtite, Vesuvianite, Tigers Eye, Scapolite, Menalite, Darwin Glass, Green Calcite, Prehnite, Ethiopian Opal, Aurichalcite, Shaman Stones or Dioptase. The high crystal energy stones, and in particular Moldavite, Herderite, Phenacite, Aurora Quartz aka Anandalite, Scolecite and Natrolite are powerful combined with Rhodonite to assist you to connect to the Divine mind and to aid awakening of your inner being. 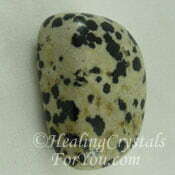 For assistance with helping you to boost the energy that aids you with finding your life purpose and reason for being here at this time, use it with Dalmation Jasper, Cinnabar and Astrophyllite. It combines well with Red Almandine Garnet and Blue Lapis Lazuli, and it also combines well with Sugilite and Tibetan Black Quartz, which is particularly helpful to aid you to remove negative energy.